Greater and more intense competition between global value chains are leading to a substantial shift in the expectations from supply chains. India's complex operational challenges and increasing expectations make the job of a supply chain professional extremely difficult. In this article, we shall try to analyze the Indian scenario and provide some suggestions to chart the best way possible to create robust supply chains. Finally, we would conclude with a concise look at the initiatives being taken by the government, the industry and allied sectors to augment the supply chain infrastructure in India. With organizations being more diverse than ever, it is important to follow a tailored approach rather than a one size fits all approach. This differentiated approach will enable organizations to take care of different market and product needs. Supply chain managers must be ambidextrous, able to see the bigger picture while also focusing on the details. In this regard, the single demand forecast for the entire organization can be the chief enabler with total cost optimization for capacity planning and scenario analysis for risk assessment. To take care of all stakeholders in the value chain from customers to vendors, supply chain professionals proactively need to apply pull replenishment strategies. This will invariably involve a solid information infrastructure, regular inventory calibration and removal of artificial demand distortions. So it is important to actively manage supply chains. Going forward, it will be important to prune the non value added activities and capitalize the value added activities. We further look at the real-time problems faced by supply chain professionals and the unique characteristics in the Indian context. In India, the biggest bottleneck is the lack of proper logistics’ infrastructure. A lot more can be accomplished if there is better infrastructure and the ability to scale up to get products to far flung areas, especially small towns and villages. There is a huge opportunity once infrastructure bottlenecks are removed. The country has the potential to emerge as a supply chain centre of excellence for the world. The corporations need to build larger distribution centers in the interiors to consolidate access. The use of larger, efficient and appropriate vehicles is equally important. Another issue is the cost of movement in India due to long routes. I We compare the Indian scenario with the United States of America, the highway network in the US enables inter-state commerce system. It allows long-distance travel efficiently. In the US, for instance, a barge system for non time sensitive goods like copper or steel are moved in large quantities at low cost. Similarly, India has a huge road structure but the same is not integrated to provide a strategic advantage. But if we can eliminate barriers and the congestion, and create a road or rail system allowing long-distance travel, then it helps in getting foreign investments in manufacturing. Retailers and Supply Chain Management companies would develop infrastructure and distribution centers. This will lead to consolidation and scaling up of distribution at lower costs. The cold supply chain in India is almost non-existent.The wastage of perishables that happens because there is no proper infrastructure for temperature control and refrigeration of goods is substantial. We have an to look at water, rail and road systems and connect them with ports. Now, we shall provide an overview of the initiatives presently underway to improve the supply chain system in India. The Dedicated Freight Corridor Corporation of India Limited (DFCCIL) was registered as a company under the Companies Act 1956 in 2006. This company under Ministry of Railways was conceived and formed to undertake planning & development, mobilisation of financial resources and construction, maintenance and operation of the Dedicated Freight Corridors. 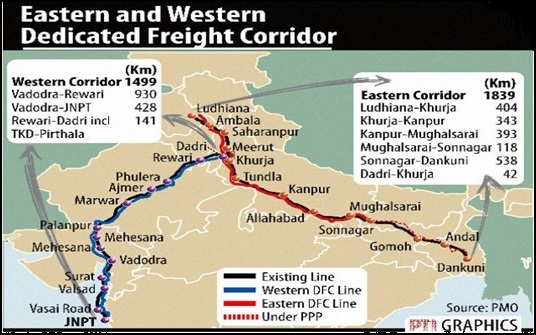 The construction of the Western Dedicated Freight Corridor from Dadri to Nava Sheva (total length 1483km) and the Eastern Dedicated Freight Corridor from Ludhiana to Dankuni (total length 1839km) is already underway. The construction of East-West Dedicated Freight Corridor , the North-South Dedicated Freight Corridor, the East Coast Dedicated Freight Corridor and the South-West Dedicated Freight Corridor is in the planning stage. The mission of this major infrastructure push spearheaded by the government is to build a corridor with appropriate technology that enables Indian railways to regain its market share of freight transport by creating additional capacity, to set up Multi-modal logistic parks along the DFC to provide complete transport solution to customers and to support the government's initiatives toward ecological sustainability by encouraging users to adopt railways as the most environment friendly mode for their transport requirements. 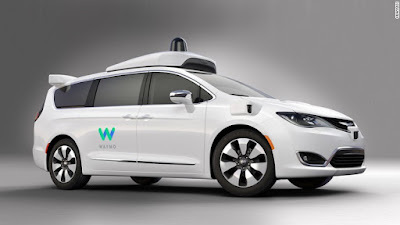 This would occur in tandem with the industrial corridors to be setup in India. An industrial corridor is a package of infrastructure spending allocated to a specific geographical area, with the intent to stimulate industrial development. An industrial corridor aims to crease an area with a cluster of manufacturing or other industry. Naturally, such corridors are often created in areas that have pre-existing infrastructure, such as ports, highways and railroads. The vision is to have a holistic network of high quality infrastructure, connectivity via all modes of transport accompanied by industrial clusters. These modalities are arranged such that an "arterial" modality, such as a highway or railroad, receives "feeder" roads or railways. Concerns when creating corridors including correctly assessing demand and viability, transport options for goods and workers, land values, and economic incentives for companies. Examples include the Delhi Mumbai Industrial Corridor Project and Chennai Bangalore Industrial Corridor. All the major steps taken by government to improve infrastructure will ensure smooth transportation of goods with less bottlenecks. That will allow India to be a global player in field of supply chain management. It will also help in getting investment in manufacturing. The policy reforms are being overhauled through introduction of initiatives like Make in India, Skill India and digital India. The article is written by Gulshan Prakash. He is PGP first year student at Indian Institute of Management Raipur.